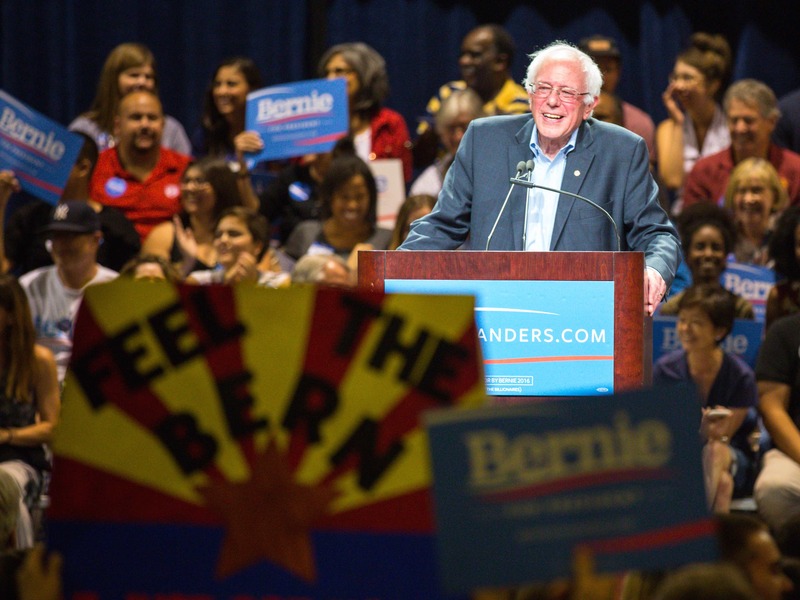 You are here: Home / College News / Why Do So Many Millennials #FeeltheBern? 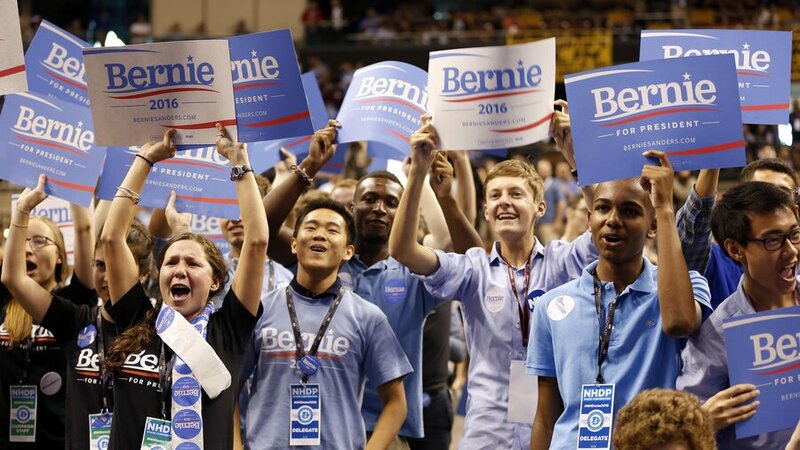 Why Do So Many Millennials #FeeltheBern? Stephen Crowley, an Oberlin College professor of politics, developed two theories behind Sanders’ success among young people. “On the one hand, students and young people generally tend to be more idealistic than the general population. In the past they supported long-shot candidates like Eugene McCarthy in 1968, Jesse Jackson in the 1980s and Ralph Nader in 2000,” Crowley said. However, Crowley noted that the U.S. steered clear of supporting a socialist candidate since Eugene Debs in 1920. Senator Sanders labels himself as a self-proclaimed democratic socialist. Democratic socialism advocates for a democratic political system with a socialist economic system. This means that while the country would operate democratically at a political level, production remains under social ownership instead of state ownership. Social ownership takes place in things like independent businesses and economic structures that work from the bottom-up. State ownership refers to the property and economic interests controlled by each state. “Surveys show that young people these days are more willing than most to support ‘socialism’ than ‘capitalism.’ Communism collapsed 25 years ago—a long time for the younger generation—and arguably they are less likely to equate Soviet-communism with socialism,” Crowley said. Crowley stated that the Great Recession in 2008 hit at a formative time for millennials, and the job market for new graduates continues to dwindle post-grad opportunities. Combine that with an increasing student debt at over $1 trillion. This make Sanders an attractive candidate to college students, as he offers real solutions for millennials facing these problems, such as free tuition. Oberlin sophomore and political science major Thomas Cohn is the co-leader and organizing director of Oberlin Students for Bernie Sanders. He explained the issues that students see with the government, and why they see Bernie Sanders as the best candidate to address these problems. “We currently have a Congress led by obstructionists who prevent anything being done to solve these important issues,” Cohn said. “Many representatives in the GOP are also warmongers who nearly started a war with Iran, misogynists who went on an expensive crusade against Planned Parenthood based on doctored footage, and supposedly fiscal conservatives who spent millions of taxpayer dollars on a partisan attack against Hillary Clinton,” Cohn said. Cohn explained this cuts on programs like Social Security, nutritional programs and Pell Grants. Tax breaks for the wealthiest are also unpopular among millennials, especially since many of these policies are harmful to these young people’s futures. Cohn pointed out how students see Sanders’ radical, progressive stances as an opportunity for true progress within the Democratic Party. Sanders stayed independent of the two-party system and stands up for the middle class, women, the LGBT community and working families. Additionally, the Tribune News Service’s McClatchy-Marist poll shows that Sanders tends to do better with younger Democrats, while Clinton takes the majority vote among older Democrats. While Clinton draws support from 69 percent of those 60 or older, Sanders racks in the votes from 58 percent of those younger than 29. Cohn believes many young people see that Clinton aligns more traditionally with electability tactics, rather than standing solidly for the masses, as Sanders does. The race for the 2016 presidency continues to stay an intense battle. We’ve seen record-breaking views of debates, intensely growing social media commentary from the people and from candidates and a strong passion for change in a corrupt government. No wonder so many millennials are starting #FeeltheBern. Melissa Harris is an Oberlin College sophomore. She's an athlete, artist, pianist, writer, and proud biracial Filipino-Swedish American. She's a sucker for cute animals, warm cups of tea, and the soft sound of raindrops on windows. Fifty Shades of Grey: Empowering or Degrading?